Tesla Inc. is facing one difficult challenge after another. Apart from the production bottleneck that threatens the sustainability of its electric vehicle (EV) business, the company’s solar panel business is also facing a significant decline in system installations. Reuters reported on 22 June that Tesla’s recent move to downsize its total workforce by 9% will mainly target the company’s residential solar unit. Reuters cited three internal company documents and seven current and former employees of the company in its article. Tesla acquired SolarCity for US$2.6 billion in 2016, but the deal has not taken the solar panel business to a higher level of profitability. Instead, Tesla recorded a massive year-on-year drop in system installations, from 253 megawatts in the first quarter of 2017 to 76 megawatts in the first quarter of 2018. Consequently, Tesla has to dramatically restructure this unit. According to the internal company documents that Reuters had obtained, Tesla plans to shut down 14 factories for solar panel installations and end its retail partnership with the Home Depot Inc. The partnership with the US-based Home Depot, which sells construction tools and supplies, was officially announced only a few months ago. With regard to factory closures, the company’s documents indicate that 14 facilities are slated to shut down, while about 60 others will remain in operation. The US states that are affected by the factory closures and layoffs include California, Maryland, New Jersey, Texas, New York, New Hampshire, Connecticut, Arizona, and Delaware. Some of the workers affected by the factory closures will be transferred to facilities in other locations. Sources within the company’s workforce also said that dozens of staffers at call centers in Nevada and Utah were also laid off in June. Publicly, Tesla declines to name the facilities that will be closed and to specify the number of laid-off workers or the percentage of total workforce cut in the residential solar unit. The company for now says that this move is a part of the general plan to reduce the workforce of the entire organization by 9%. In light of these developments, market and industry analysts are now very skeptical of Tesla’s ability to turn around its solar panel business. Frank Gillet, an analyst at Forrester Research Inc., was quoted by Reuters as saying that Tesla was basically declaring that it has no strategy for selling solar panels. Gillet also pointed out that the SolarCity deal now appears to be a terrible decision. As indicated in the internal company documents, Tesla has opted to end its collaboration with Home Depot to sell solar panels and battery packs in Home Depot stores. Tesla’s justification for quickly abandoning this partnership is that the company wants to focus on improving SolarCity as a brand. Tesla told news media that the company will continue to sell residential solar systems online and in its own physical retail locations. Tesla currently has 90 stores across the US. However, the withdrawal from the partnership with Home Depot is sowing confusion among Tesla’s employees. 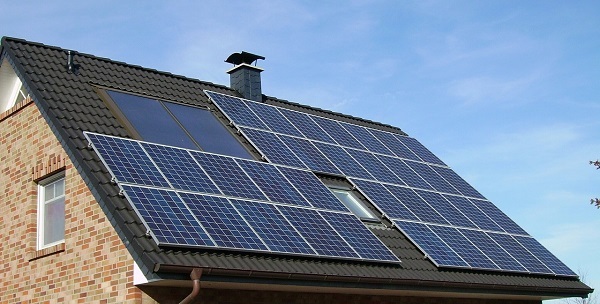 Tesla CEO Elon Musk in 2017 said that cooperation with the retail industry is going to drive sales of residential solar systems. Furthermore, the deal with Home Depot was officially announced just this February. To increase the visibility of Tesla’s solar and battery products, exclusive sales booths were set up in 800 Home Depot stores. Sources in Tesla’s workforce also pointed out that the partnership with Home Depot has contributed around 50% of the total revenue from the residential solar unit. Hence, the abrupt end to this promising relationship has created some uncertainty. Stephen Holmes, a representative of Home Depot, confirmed the impending termination of this partnership by telling news media that the Tesla kiosks will remain in Home Depot stores until the end of 2018. Tesla has been burning through cash as it tries to reach its weekly production quota of 5,000 Model 3 electric sedans. Perhaps the EV production issues, together with the high remuneration to the third-party retailer, have put too much pressure on Tesla’s bottom line and caused complaints from its investors. Nevertheless, Tesla has yet to give clear reasons on why it has severed the relationship with Home Depot and begun downsizing its workforce.